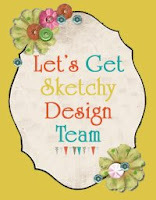 Belinda Griffin: I'm on the Design Team for Let's Get Sketchy! I'm on the Design Team for Let's Get Sketchy! Whoot, excitement, I can now share that I am on the design team for new blog, Lets Get Sketchy! I've seen some of the upcoming sketches and they rock, so make sure you head on over in anticipation, challenges will start up on the 5th of March. Can't wait! 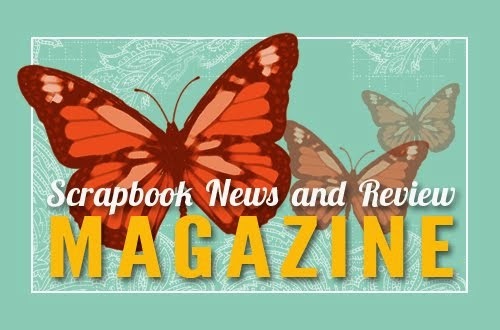 There's some very talented ladies on the design team, it's going to be an amazing blog. Now that layout I said I was completely happy with the other night. Ha, should have known that was silly! I was all ready for bed, showered, changed, teeth brushed and then decided I just had to go back and add to it. I'm not sure I ever feel completely finished with a layout, I always wonder if I should add something extra, but I've learnt to draw the line. Anywho, all you really want to see is the page anyways, right?? For the record, this photo was taken by our amazing wedding photographer, Alla Photography. Hi Belinda, congratulations on making the DT for Lets Get Sketchy!! Your layout was gorgeous! I'm on the A team too and from Kadina in South Australia. Looking forward to seeing your layouts. congrats on making the team at Lets Get Sketchy! I love your blog and look forward to seeing what all the DT members make with the great sketches for March, this should be fun!! Concrats. Looking forward to work whit you in the team. Congratulations! I look forward to work with you - I'm on the B-team.